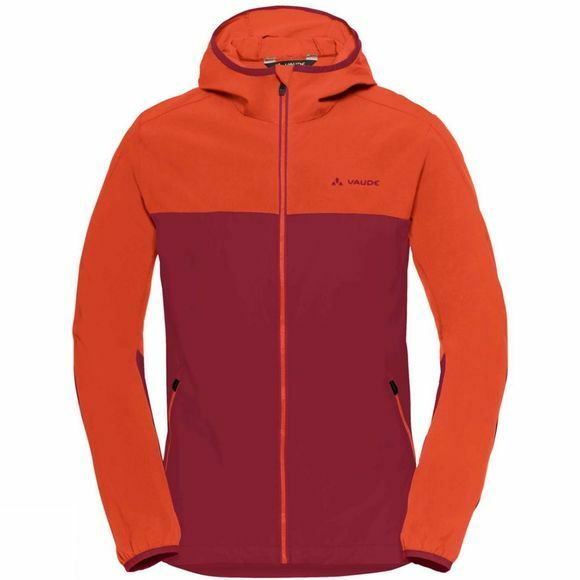 The Mens Moab III Jacket from Vaude is a casual hooded jacket for trail surfers. This casual and lightweight wind jacket made from water repellent stretch materials loves flowy trails just much as hanging out with friends after the ride. You can roll up the adjustable hood for bombing down the trail, two side zip pockets feature mesh materials inside for ventilation. Made from fabric certified by the strict bluesign system environmental standard, it's comfortably lightweight and offers maximum functionality. 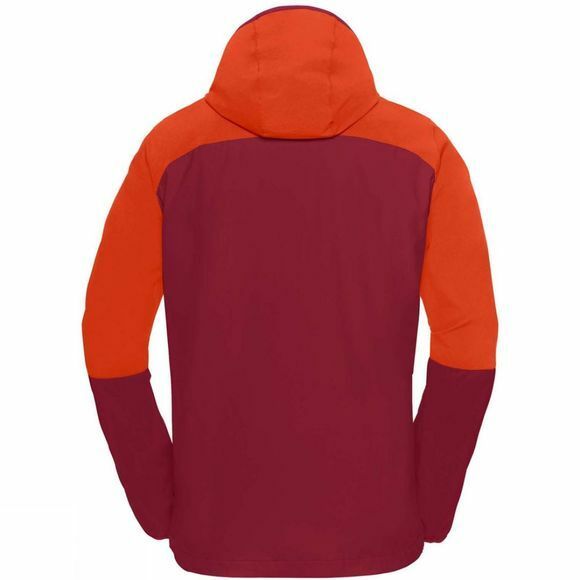 This product is made with Eco Finish, an eco-friendly, fluorocarbon-free, water repellent finish (PFC-free). The Vaude Green Shape label stands for environmentally friendly, functional products made from sustainable materials.